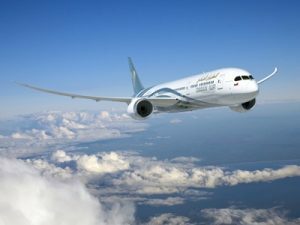 Oman Air, the national airline of the Sultanate of Oman, has been recognised as the second cleanest and quietest carrier in contributing to the reduction of the noise footprint at UK’s Heathrow Airport. The airline comes in behind Polish flag carrier LOT, making it the first best long-haul performer in “fly quiet and green” chart in Q3 2018. This positive ranking comes as a result of the airline investing in modernising its fleet, phasing out the use of its older aircraft and replacing with eco-friendly Boeing 787 Dreamliners on the London Heathrow service. Heathrow’s latest ‘Fly Quiet and Green’ league table, which ranks the performance of the top 50 airlines on seven noise and emission metrics, places Oman Air in second position; climbing up 26 places over the last quarter.